With the rise in the demand for Management graduates, it has become almost next to impossible to rise the corporate ladder without a premium management degree. One of the major challenge is to leave your comfortable jobs to enroll in a full time course. Full-time MBA programs characteristically run for two years. A full-time MBA program can be your best choice if you have the bandwidth to invest time and money. This program helps you get the in-depth learning of management. But if your resources are limited then a distance or Online MBA is the best bet. Until few years ago, distance education had few takers as distance education was considered as an alternative mode of education. However, with the rise in industry acceptance of distance education, a large number of working professionals and students are now preferring distance education to up-skill themselves. Why Distance Education? Distance and Online education have made education ubiquitous. You can do courses offered in any part of the world from the comfort of your home or workplace. Distance and Online education have evolved from being alternative education to perfect substitute especially in the management education field. Distance and Online courses are less expensive and offer more flexibility. One can learn at their own pace. Distance and Online education have bridged the geographical barriers between course providers and aspiring students. Despite all the benefits of distance MBA like affordability, flexibility and accessibility, it is a very daunting task to choose the right program for you, given the large number of courses, course providers and specializations. It becomes even more difficult to choose programs in the absence of enough options to choose and compare. The right MBA program would be the one which adds value to your career by offering you the specializations you want and providing you with in-depth knowledge for the same. Until a few years ago distance education lacked choices in terms of courses and course providers but in the past few years it has received increased acceptance and delivery. More and more universities are offering there courses through distance and online medium. These courses provide a candidate with the same facilities as their regular course counterpart and in some cases are even more engaging. The biggest challenge is to gauge the available course options and then staying focused to complete it within the stipulated time frame or at least within the minimum possible time. You should also know DEC policy on minimum duration for distance MBA before taking an admission. In such a scenario, EduKart is rightly helping aspiring candidates by providing them umpteen courses and course providers. 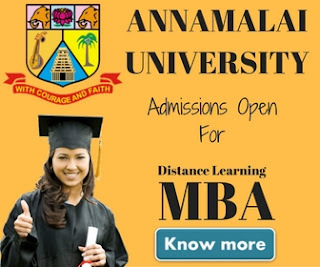 This platform for distance education enrollment offers multiple options for the aspirants of Distance and Online MBA, both in terms of the degree providers and specializations. It can rightly be called as the largest enrollment for distance management courses in the country today. Concordia University Chicago (USA) and more. Further, the range of specializations being offered by the Universities are immense. Human Resource Management, Finance, Marketing, Operations, International Business, Oil and Gas, Aviation Management are just to name a few. 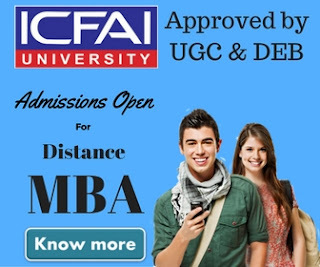 So, if distance MBA is on your mind and you have not been able to pursue it due to lack of guidance in choosing the right program and conviction in completing it successfully then EduKart could be the right destination for you. Although there are taboos like lack of trustworthy counselling, inappropriate support and discrepancy in program fees, EduKart has been able to resolve them through dedicated and expert counselling support, genuine fees guarantee and multiple and safe payment options. Another, issue that the aspirants face in any Distance MBA program is lack of networking opportunities and the dedication to stay focused. But, through services like regular webinars and regular alumni meet-ups, the company helps the aspirants to remain focused and gain the maximum out of the chosen distance MBA. Distance MBA is a great option for those who aspire to up skill themselves without compromising on their job but it is also imperative to gauge different financial and personal constraints. We suggest in case of any confusion regarding something as important as your career, trust only the experts and EduKart has definitely established themselves as a trusted source in the field of management education. In a nutshell, while the advantages offered by a Distance MBA program are plenty, the student needs more discipline, commitment and drive to successfully complete the course. It is also critical to choose a course that fits well with your financial and scheduling needs.